Even though Offset just dropped his solo album Father of 4, fans are already craving new music. 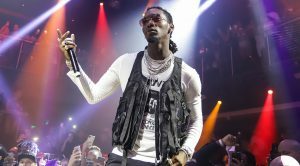 During a Q&A session on Twitter, Offset replied to a fan’s question about when we will finally get the anticipated Migos’ Culture III album. He revealed that it will drop in 2020. Although Culture III won’t drop until next year, there is another Migos project coming in the near future. Last year, Quavo revealed that the crew and Drake are plotting a collaborative project after the success of their Aubrey & The Three Migos Tour.